Welcome to our blog. We hope that these pages provide an insight into us, our products and how we develop them. Please feel free to write to us if you have anything to add to any of the posts here. 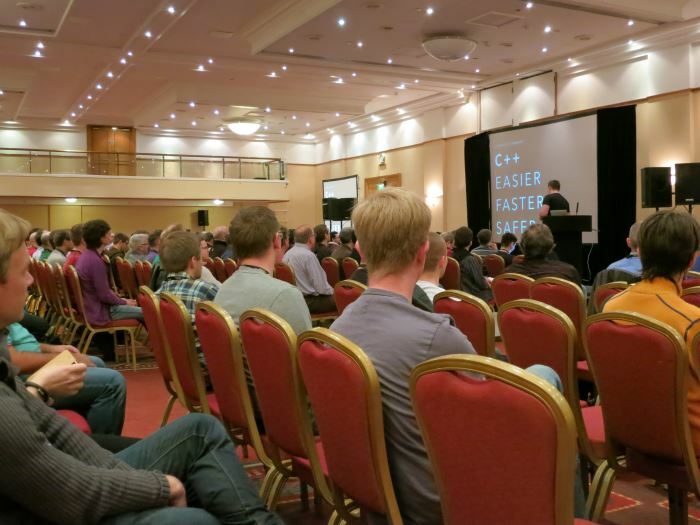 We spent last week at the ACCU Conference in Bristol having our brains filled with gloopy tech goodness. It was (as ever) a real blast. We had our demo rig with us as usual, and a steady stream of folks came along to chat to us and acquire caffeine from the expresso machine on the table next door. We came back absolutely exhausted, so no detailed photoblog this time I'm afraid! Over the past five years, the prospect of developing large software projects in C++ has changed dramatically. We have had not one but two new language standards. An amazing array of new features are available today that make the language more elegant, expressive, and easy to use. But that isn't the only change in the last five years. LLVM and Clang have helped kick start a new ecosystem of tools that make developing C++ easier, faster, and safer than ever before. This talk will cover practical ways you can use the tools we have built in the LLVM and Clang projects. It will show you what problems they solve and why those problems matter. It will also help teach you the most effective ways we have found to use all of these tools in conjunction with modern C++ coding patterns and practices. In short, it will show you how to make *your* C++ development experience easier, faster, and safer. Next year's conference is provisionally scheduled for 19th-23rd April. See you there!